iPad To Be Blessed By iOS 4 In November According To Apple? AdAge has an interesting piece today regarding who has jumped on the iAd bandwagon due to launch next week. In short, it details the plans and the experiences of those few companies who committed to iAds early and were mentioned in the WWDC keynote. "Apple is telling marketers that the device considered most promising for advertisers -- the iPad -- won't be on the iAd platform until November." Since we know iAd is built right into iOS 4, this looks like a pretty compelling first hint at when it will finally be available on the iPad. 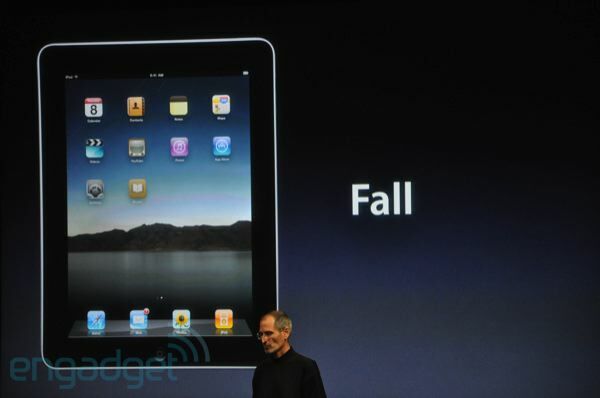 As you might remember, the only thing Jobs has revealed so far about iOS 4 availability on the iPad was " this fall".